The first edition of ‘Paper Chained’ is now available online to read or download, paper copies are also available upon request. ‘Paper Chained’ is a journal of writings and artistic expressions from individuals who are facing or have faced incarceration.’Paper Chained’ is compiled by the Running Wild anarchist collective from So-called ‘Australia’. Check it out! 25 Oct – It’s finally here! Click HERE to read the first Issue of Paper Chained online, or read below for other access options. Prison buildings seen through a broken window at Sialang Bungkuk prison in Pekanbaru, Riau province. 7 May – Indonesian authorities have said about 200 inmates remain at large two days after a mass escape from an overcrowded prison on Sumatra island. The breakout at Sialang Bungkuk prison in Pekanbaru on Friday occurred when prisoners were let out of their cells to perform prayers. They broke through a prison door, overwhelming the few guards on duty. Police said 242 men had been recaptured by Sunday morning, leaving about 200 still at large. Authorities were initially uncertain how many prisoners had escaped, estimating the numbers at between 100 and 300. Police said some of the men surrendered or were returned by their families and others were captured by local residents, police and soldiers. Various officials have said the prisoners were angry about poor conditions and treatment. The prison has a capacity of about 360 but was holding more than 1,870 men, according to a local police spokesman, Guntur Aryo Tejo. Tejo said four of the escaped inmates were apprehended by police late on Friday about 60 miles from the prison, on a bus heading for West Sumatra province. Hundreds of police and soldiers have been deployed in the hunt for the prisoners. Jailbreaks are common in Indonesia, where overcrowding has become a significant problem in prisons that are struggling to cope with poor funding and an influx of people arrested under a “war on drugs”. Friday’s escape was the biggest since July 2013 when about 240 prisoners, escaped after a deadly riot at a prison in Medan, the capital of North Sumatra province. 11 March – Teargas was used to quell a fresh wave of violence that erupted yesterday in the state’s prisons, including a deliberate ambush of guards after two cells were set on fire. The chaos occurred as the Baird government revealed it is considering new measures to ease prison overcrowding crisis including reopening the 580-bed Parramatta jail, which was shut in 2011. “The government is considering a number of options to respond to the growth of the prison population,” Prisons Minister David Elliott said. The latest violence erupted at Wellington Correctional Centre yesterday afternoon as fires were set inside two cells. Guards who responded to fire alarms were assaulted by four prisoners who “came out swinging” as the doors opened. The prisoners involved in the violence are said to be part of a Pacific Islander gang called the Outkasts, who have known links to bikies. “The guards suffered some cuts and bruises but I’m told one of the guards gave as good as he got,” one source said. Teargas was used to quell the violence, amid fears the four inmates may try to release other prisoners from cells. “There was a further disturbance when staff were moving inmates due to smoke,” a Corrections spokesman said. 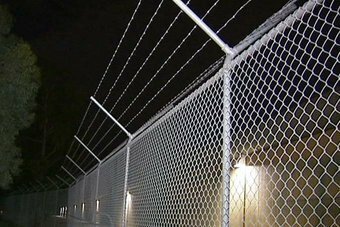 The violence at Wellington Correctional Centre is said to have involved a group of inmates moved to the jail after violence at Goulburn prison. Guards used tear gas and live bullets, ‘as a warning’, to stop a brawl at Goulburn on January 26. The state’s prison population rocketed above capacity to about 12,300 inmates last year, causing major backlogs in courts and police stations.